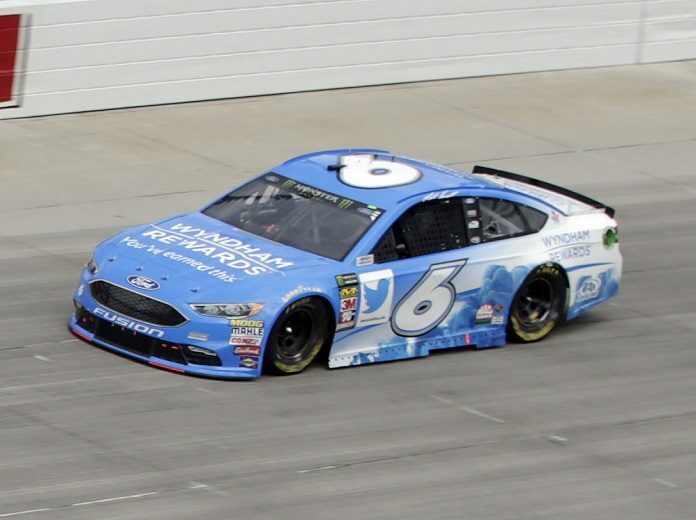 CONCORD, N.C. – Roush Fenway Racing revealed Thursday that Wyndham Rewards has expanded its partnership with the team and will serve as a partner in 10 races this year. The Wyndham Rewards colors will debut on the No. 6 Ford during the non-points Advance Auto Parts Clash, which kicks off Daytona Speedweeks on Feb. 10. In addition, Wyndham Rewards will be featured as an associate partner for the remainder of the season. Newman, who has competed in the Clash 14 times, qualified for the 2019 field via his 2008 Daytona 500 victory. Mark Martin drove the iconic No. 6 to victory lane in the 1999 edition of the event, marking Jack Roush’s only Clash victory. Newman’s best Clash finish was a runner-up effort in 2005. Wyndham Rewards joined Roush Fenway as a primary partner last season with Matt Kenseth behind the wheel for a number of races. Newman, a native of South Bend, Ind., becomes the sixth driver to pilot the No. 6 Ford for Roush Fenway. The iconic number has visited victory lane 36 times, captured 41 poles and led over 11,400 laps under the Roush Fenway umbrella.